Today's students have grown up with ubiquitous access to the Internet. That means that many of them think that because they can type something into Google they know how to search. Of course, we know that's not the case. 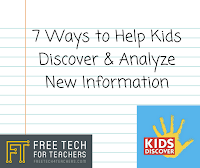 On October 17 I will be hosting a free webinar designed to help you help your students discover new information through web research. Locating new information is just part of the research process. Another significant portion is analyzing the information found through Internet search. In October 17th's free webinar I will share some of my favorite methods to help students analyze what they find on the Internet. 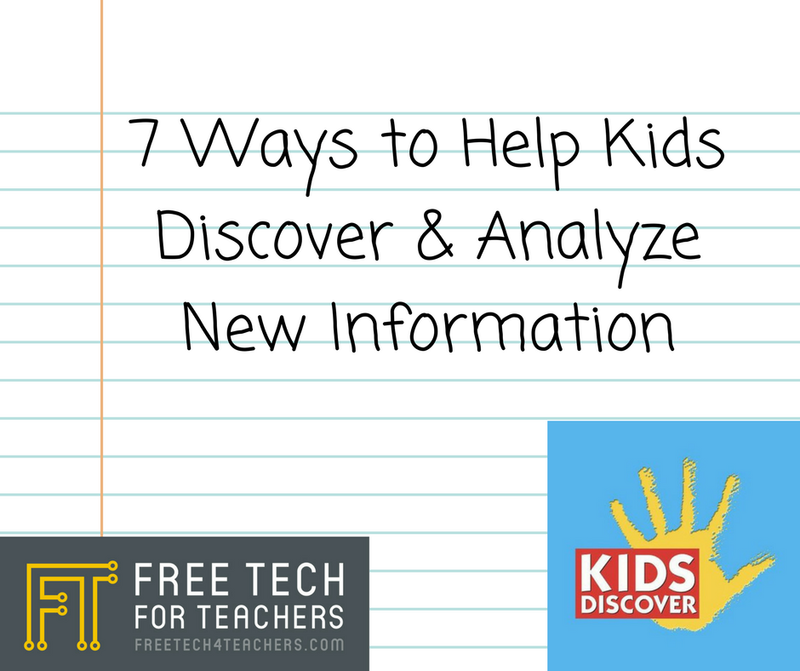 Join me on October 17th for 7 Ways to Help Kids Discover & Analyze New Information. This free webinar is sponsored by Kids Discover Online. I will be joined on the webinar by Ted Levine, the CEO of Kids Discover Online.